Easily the toughest experience for a new caregiver and a patient can be the toileting situation, those that have battled with Parkinson’s, Stroke, or Dementia often need some sort of aid for the bathroom. It can be something as simple as a lift or as complex as a travel urinal. Either way, the first time in the bathroom will always be the most nervous but there are ways to shake those nerves. Both the patient and the caregiver can find comfortability in treating it as any normal task, which will then make bath time something to look forward to instead of something to be nervous about. Let’s face it, some of our best karaoke moments are always in the shower. Aqua Eve Women’s Urinal - No splash, no drip, and made for women with sensitive skin. 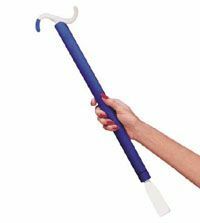 This toileting aid is generally used for women who are bed bound or cannot stand on their own. Also easily portable. 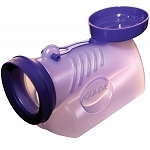 URSEC Spillproof Male Urinal - The males model is slightly different, designed for one handed use and is also easily portable. This urinal is best used for men in wheelchairs as it gives an easy, simple solution to using the restroom. 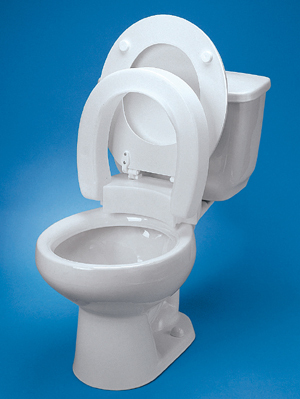 Hinged Elevated Toilet Seat - This is often used for those that need more support and higher seating when using the restroom. 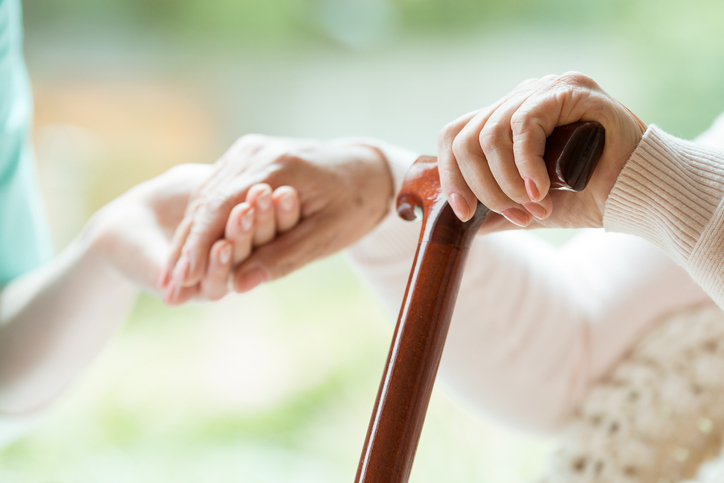 Often after a Stroke it can be beneficial to have more support when doing independent tasks. SUNzyme Natural Stain & Odor Control - This product comes in a 32 oz, a gallon, or a case of 4 gallons. It speaks for itself, controls odor and removes urine stains. Another vulnerable and nervous part of the bathroom schedule is bathing. Many seniors rely on caregivers to give them baths, and this can be a very sensitive subject for many people. It is similar to the toileting scenario, the more comfortable a caregiver proves to be, the more comfortable the patient is and eventually it’s bathroom showtunes and no one’s thinking about how silly they might feel. It can also put patients at ease to have some independence back, which can happen using various methods such as adapting to lifts and other tools to aid in showering. Something like a Transfer Bench can really help a patient, allowing them to sit and bathe without much assistance from a caregiver or friend. The transfer bench is somewhat like a normal shower seat, but allows for easy transfer in and out of the bath. Now, with bathing out of the way, there’s one more thing that usually happens in bathrooms. Dressing aids, they can be used by patients or by caregivers, but no matter who uses them, they’re always helpful for getting ready. Something a lot of common households have is a Shoe Horn, it’s pretty self explanatory-- it helps us put our shoes on! Another simple dressing aid is a Zipper Pull, which allows a better grip on the zipper so weak or hurting hands don’t have to fight with the small zipper on their clothes. There are so many little tools out there to improve quality of life when living with a disability, and as a caregiver it’s important to know about these as it can help not only a caregivers tasks, but a patients tasks if they’re trying to live more independently. We were taught bathroom etiquette as young children and as we get older and experience more, the idea of helping someone in the bathroom isn’t so nerve wracking. It can actually be kind of fun, given the right resources and the right attitude.